Who takes the decision of my admission? As the title suggests, this question is worth pondering upon. 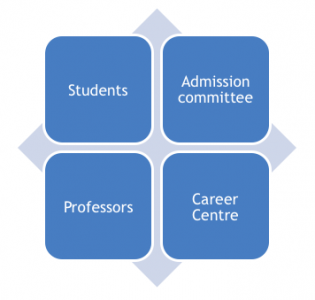 The decision to your admission goes through different layers of decision committees which are comprised of different bodies which range from students to admission committee, professors and the career center. Before the actual application to the university, you are a ‘prospective’ student, then once the application is initiated, you become an applicant, where the university has an ‘application file’ dedicated to your name with all your documents included in it. With these details, the university makes a decision if you are a ‘fit’ for the program as well as for the university. For highly competitive programs, there is a formula to assign you a rank in comparison with other applicants, which could be based on your GPA, GRE and TOEFL scores, other professional and academic records. The final admission decision is most certainly not taken by a single person rather a committee of members who evaluate your application from an academic as well as non-academic point of view. What most students miss out on is the non-academic view of the application. Here, the admission committee is looking at extra-curricular projects related to community service, your personality characteristics and the uniqueness of your profile that you bring to the program. This part of the application is equally important. The decision on financial aid will be made by the department of financial aid & scholarships as well as the admission committee makes evaluation of your application for the criteria of financial aid. It depends on which other applicants are competing with you for that. Different assistantships like GA, TA, RA are sometimes offered along with admit or they are dependent on your performance in the first semester and involvement in on-campus activities. 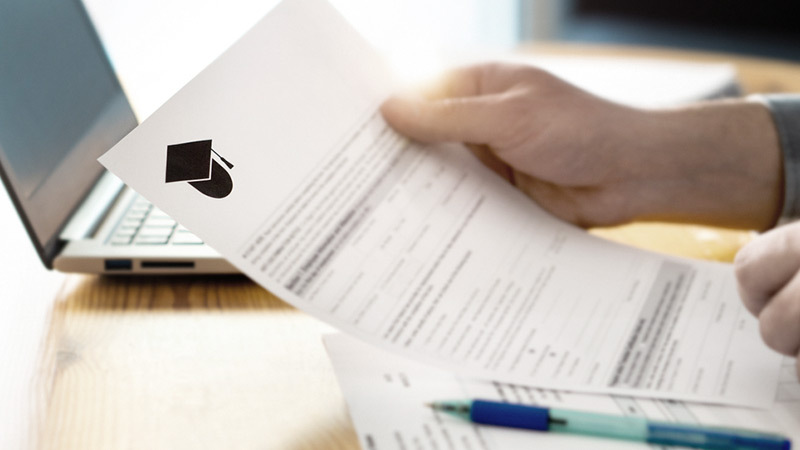 After the careful evaluation process, the admission committee will notify you about the admission decision and you must make the decision either to accept or reject the offer. This is also an important step in your dream to study abroad. After getting multiple admits, it is equally crucial to select the university which caters to your academic needs. And, for that AdmitAbroad is the right place for all your education abroad needs!